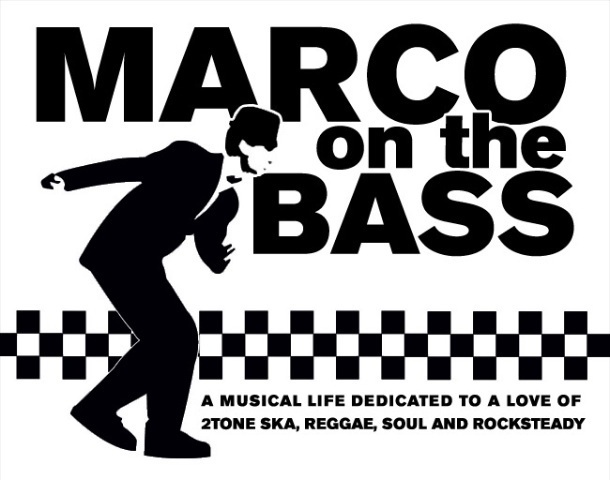 Marco On The Bass: Marco On The Bass Celebrates Third Anniversary! Congrats. I am always amazed at the connections you are able to make with some of these "Industry Insiders" and the quantity and quality of your articles. Don't know how you have the time to manage it all but in 3 short years you have documented an incredible amount of information regarding 2-tone and beyond. Your website is always at the top of most any google search regarding information about random obscure 1980's ska bands. Thanks Matt C.! Your kind comments are much appreciated! Hope to see 10 more years. Great source for new info/news and great historical snapshots. Worth my time subscribing and enjoy it much Marco! I stop by every day and just want to say thanks, keep up the great work! Congrats, love the blog and your efforts on behalf of the NYC ska scene. MOTB is the coolest ska blog Ive ever come across. While so many bloggers just "publish" links to download music without even commenting on it, MOTB informs, reviews, interviews, and even makes historic justice in a well written manner, and on a frequent-update basis. One step beyond!